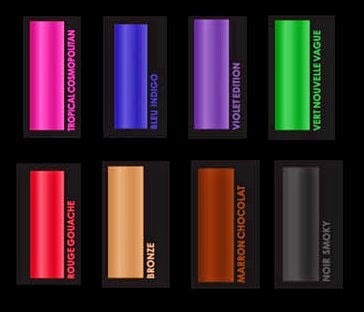 L'Oreal Hair Chalk is creating a colorful wave in the beauty industry and Alexa Chung can't be the only reason why. 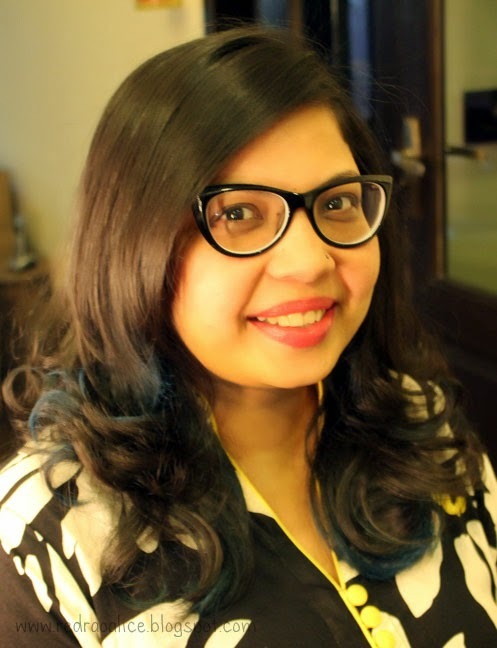 I was invited by Rain Tree Spa for a trial which was conducted by the L'Oreal hair experts themselves and couldn't say no because I always love a chance to experiment. "Temporary Hair Color Colorful, wash-out formulas in 8 vibrant shades for a temporary splash of color and style. A break-through new formula. Revolutionary water based ink and micro-fiber polymers create an ultra-thin film that adheres to the hair fiber. 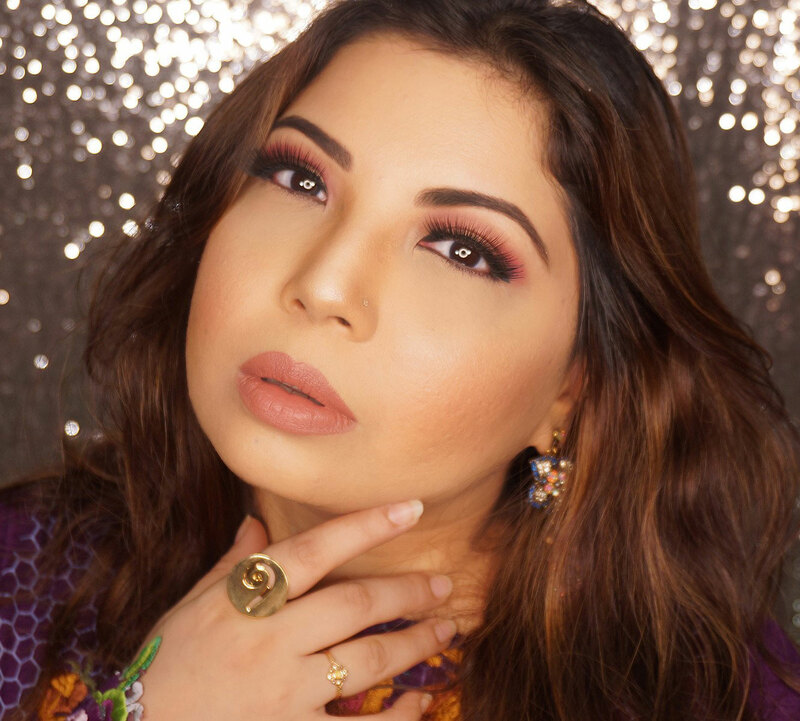 It’s not a traditional hair colorant, it’s not a direct dye: it’s a new form of makeup for hair." Even though its called hair chalk the formula is a thick liquid. It dries up into a chalky, powdery form. However, being a liquid leads to better application and the color spreads out evenly. Your hair needs to be clean (not oily) and dry before application. A sponge or a brush can be used for to apply the hair chalk (make sure you wear gloves). There are two application techniques. First is that you leave it for 20 minutes before blow drying it. Second is that you blow dry it right after application. 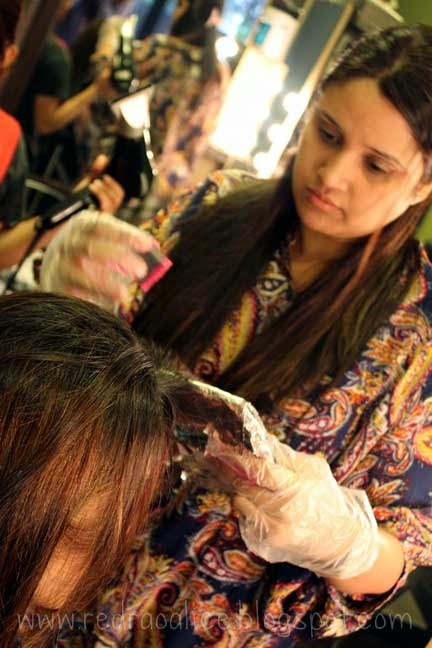 Both processes need some conditioning of hair afterward as it gets dry (L'Oreal Mythic oil is ideal). 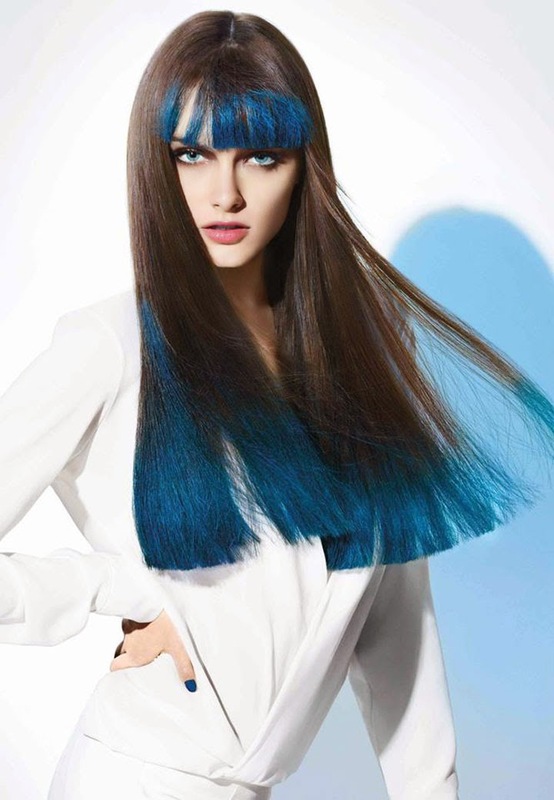 Brilliant color intensity: That is dependent on the natural color of the hair. My hair is dark so the color was more subtle. The other girl (see photos below) got more intensity in terms of color. Zero hair color transfer: Yes surprisingly after blow drying it wont rub off on your clothes (phew!). Although you might want to use a Darker colored towel after washing your hair. No chalky texture: This statement however is not completely true. After drying it feel just like any other hair chalk application. Washes out with shampoo in 2-10 washes: Well I think this is also something that varies. I washed my hair twice after application and the shade is subtle but still there. I am predicting max four washes in total for myself. Costs approx PKR.2,000/ per bottle. 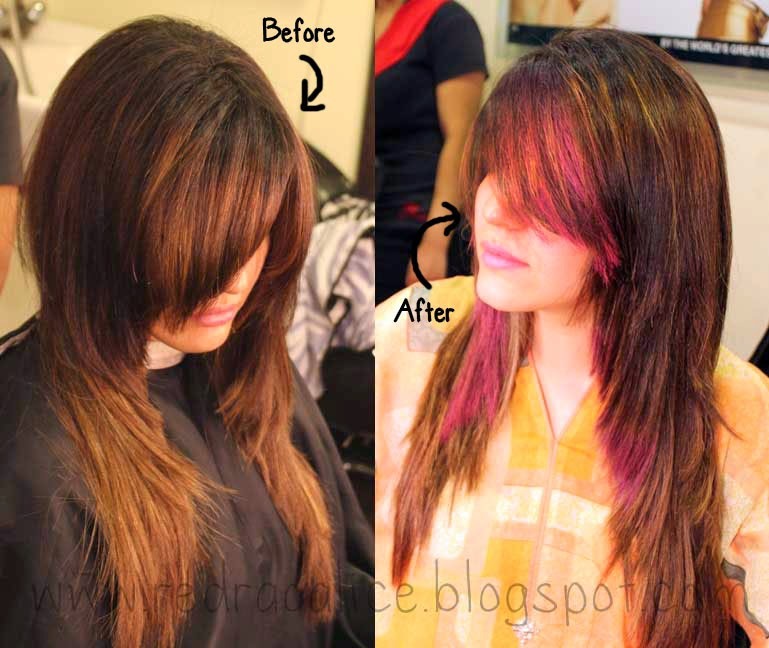 This Product is only being sold or given as a service in selected salons. I got my hair chalked from Rain Tree Spa. 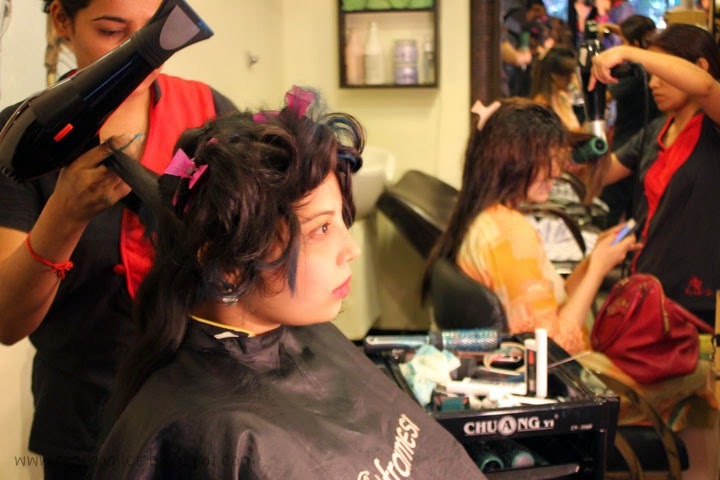 You can get your hair chalked from Rain Tree or buy a bottle from there, whatever suits you. Y do ppl never invite meeee 4 free trials? Ooh this is perfect for those who dont want to or cant dye their hair!! soo cute! Love the blue on you! Yup Leave a comment if you follow me and I will definitely follow back :) I always do!